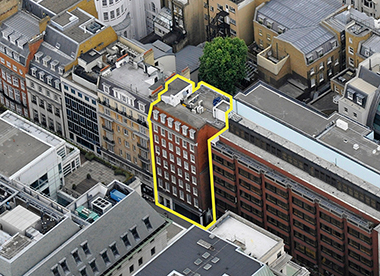 Prestigious freehold office investment situated on Berkeley Street in Mayfair. The property is situated on Berkeley Street and links the international recognisable addresses of Berkeley Square and Piccadilly. Mayfair is located in the core of London’s West End. The building provides 11,000 sq. ft. of office and retail space arranged over lower ground, ground and seven upper floors with each floor providing 1,300 sq. ft. of open plan, column-free floor space. The specification includes comfort cooling, suspended ceilings, underfloor and perimeter cable management system, six person passenger lift, male and female WCs on each office floor. Refurbishment of the entrance lobby, lift and common areas. Refurbishment of the building on a floor by floor basis as floors become vacant.